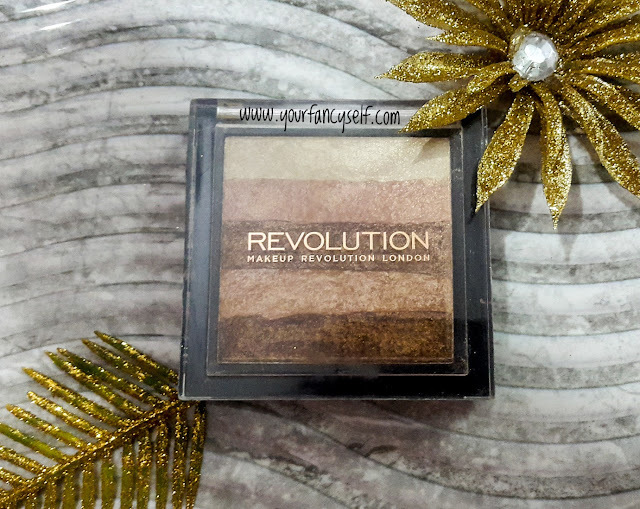 Makeup Revolution Vivid Shimmer Brick - RADIANT Swatches & Review - YOUR FANCY SELF! Highlighters have been the new-in for the makeup world for quite some time. 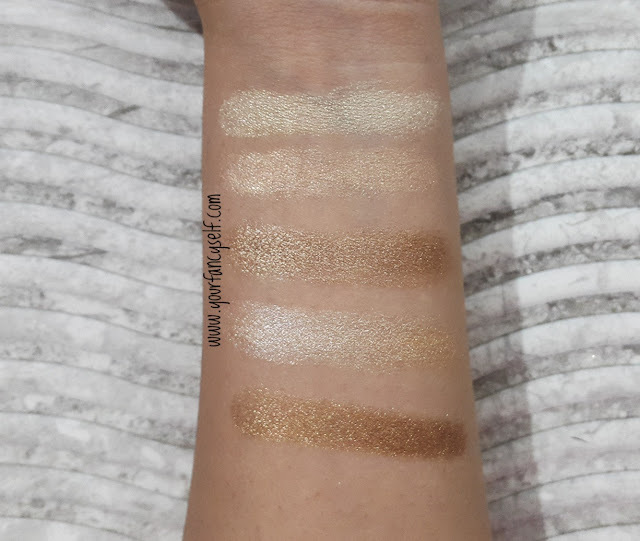 From Jaclyn Hill-the highlighter queen to the gorgeous Kathleen Lights, all these top beauty vloggers does not seem to get enough of highlighters. Highlighters instantly bring that gorgeous glow to the skin... accentuates your facial features and bring light to the high points of your face giving it some dimension. While highlighters range from high-end to affordable ones, Today's Review is about Makeup Revolution Vivid Shimmer Brick. 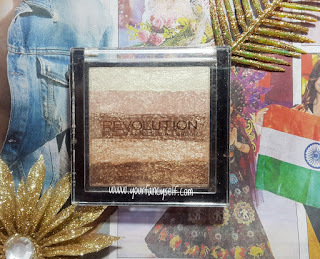 These Makeup Revolution Highlighters are said to be the affordable dupes for Bobbi Brown Shimmer Bricks and the 2 variants of Makeup Revolution Vivid Shimmer Bricks are exact same dupes of the Bobbi Brown Variants. The packaging is simple and sturdy with a transparent lid so you can easily figure out what colour you are looking for. 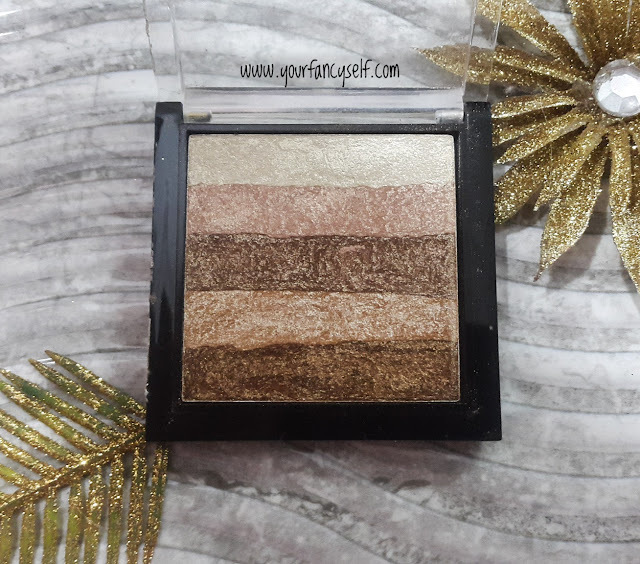 The Highlighter comes in a small packaging which is travel friendly and would fit in any wallet or purse for any touch-ups on the go. Though the lid does feel like it does not fasten up properly. READ MORE: Glitter ombre nails- 3 ways! I love this highlighter. 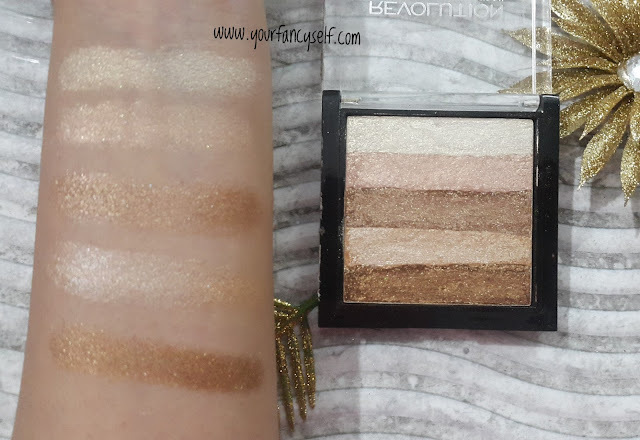 If you are looking for a highlighter which ranges from pearly tones to golden tones to brown tones...this is the little brick of glow you need. The highlighter is very smooth and creamy in texture. It has an iridescent glow to it too. 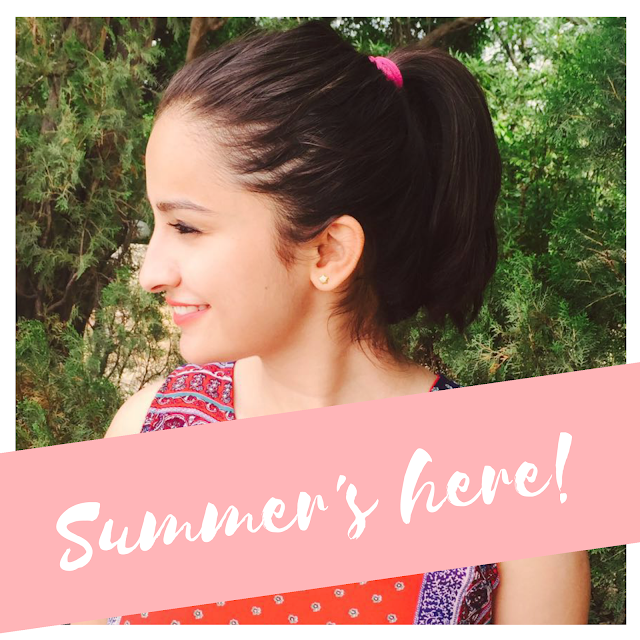 the glitter is not too large and gives a very beautiful glow which is perfect for indian skin tones. The shimmer brick used all together gives a golden-brown effect which is beautiful. While each of the strip can be used on its own too. The top one is a champagne colour with iridescent glow. The second strip is little pinky in shade. The third strip is like a coppery-golden highlighter. The fourth strip is a bright golden highlighter. The last strip is a bronze golden shade. If you have warmer skin-tones, then all these shades are perfect for you. While cooler undertones should go for the Rose Gold variant. I think this product is value for money. If you want an 'in your face glow', then this is the product you need. This might look a little too much for a day-time look, but the first and second shimmer stripes mixed or used alone can somehow work for a day-time look. 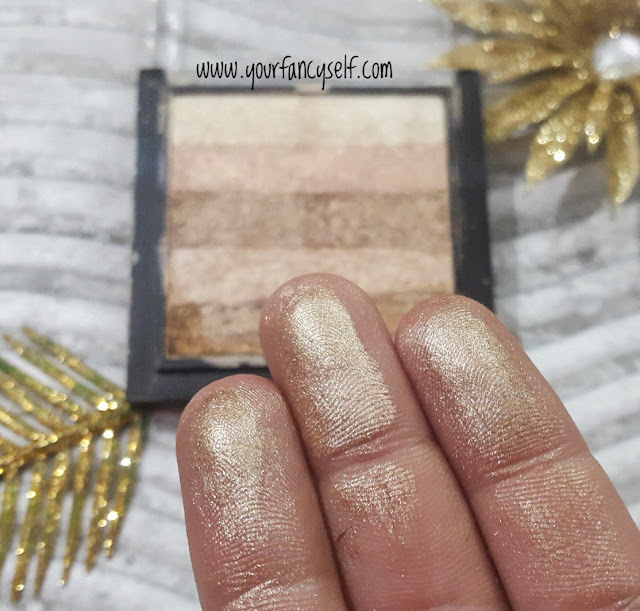 On the whole, I love this highlighter and just can't stop myself from reaching out for it. Do comment and tell if you want to buy this or if you use this already. Share it with all your FANCY friends if you find this review helpful.